Capt. Joseph Janosko, of Engine 32 in the North Side, demonstrates how to bail out of a fire head-first down a ladder at the fire training facilities along Washington Blvd. on Tuesday, March 28, 2017. Capt. Joseph Janosko demonstrates an escape technique at the fire training facilities along Washington Boulevard on Tuesday, March 28, 2017. A year after seven firefighters were forced to bail out of a second-story window during a house fire in Wilkinsburg, Chief Darryl Jones said he’s reviewing recommendations for how to prevent a similar situation. When trucks responded to the house fire on New Year’s Day in 2016, 12 of the 16 firefighters ended up on the second floor to retrieve an 82-year-old woman. According to the report, a basement fire went unrecognized during the rescue. Firefighters on the second floor opened windows to release smoke, which Deputy Chief Frank Large said created a chimney through the house, as smoke billowed up the basement stairs. Once the woman was lowered to safety, some of the firefighters became trapped, which led to seven jumping out of a window. Two of those firefighters are still on medical leave, one for a pelvic fracture and the other for respiratory injuries. The department released an in-house review of the incident Tuesday that included several recommendations. Members of the investigation committee stressed the importance of training firefighters to recognize and read fire behavior. Lt. Danny Doyle holds up a Halo Escape system that would allow firefighters to anchor themselves to a window and safely repel down a building to safety. “We have to spend more time preventing ourselves from being there in the first place because once we have to bail from a building, whether we’re using a rope system or diving onto a ladder, all of that other stuff has failed us,” Large said. Large said most of that work has to be done in the classroom. But the committee did suggest the department purchase a bailout tool called the Halo Escape System from Xtreme Rescue. The Halo system includes a 40-foot fire-resistant rope with a carabiner that firefighters would carry as part of their bunker gear. If a firefighter had to escape, the carabiner attaches to a window, allowing them to repel down the side of a building. Jones called the recommendations “reasonable,” but said he will have to consult with Public Safety Director Wendell Hissrich before he makes any decisions. He also said foundation grants could be used to purchase bail out tools for the department. Fire Chief Darryl Jones says the recommendations made in response to last year's Wilkinsburg fire are "reasonable" and he will make a decision after discussing them with Public Safety Director Wendell Hissrich. Captain Jim Petruzzi, of Fire Engine 8 in East Liberty, is also the lead instructor for the survival program for recruits and said about 60 percent of the training focuses on prevention. After last year’s incident, he said he’ll put more of an emphasis on reading fire behavior. Jones said around the time of the fire, he had applied for a federal Homeland Security grant to obtain a training trailer. That trailer has been housed at the Hunt Armory for several months. Captains have used the equipment to learn bail out techniques. The city of Pittsburgh and its firefighters have finalized a new contract. The four-year agreement with the International Association of Firefighters Local No. 1 includes a wage freeze in 2015 and increases of 1% in 2016 and 2% in both 2017 and 2018. “The city is still dealing with financial problems but [this deal] still maintains the safety necessary for the residents as well as our firefighters,” said Ralph Sicuro, president of IAFF Local No. 1. A Pittsburgh bridge is closing over the weekend to repair damage caused by a construction fire last year. Traffic on the Liberty Bridge will be closed in both directions from 3 p.m. Saturday to 11 a.m. Sunday. The northbound side of the Liberty Tunnel will also be closed. All traffic will be detoured. 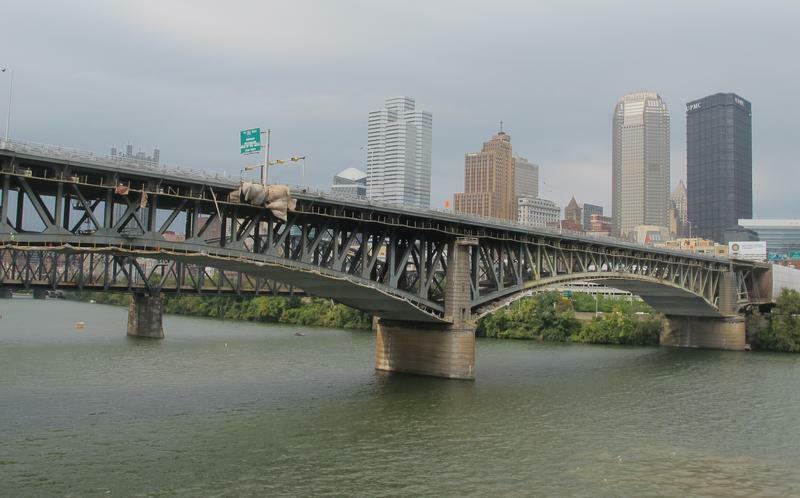 The Pittsburgh Post-Gazette reports crews will also repair an expansion joint that crosses the full width of the bridge.